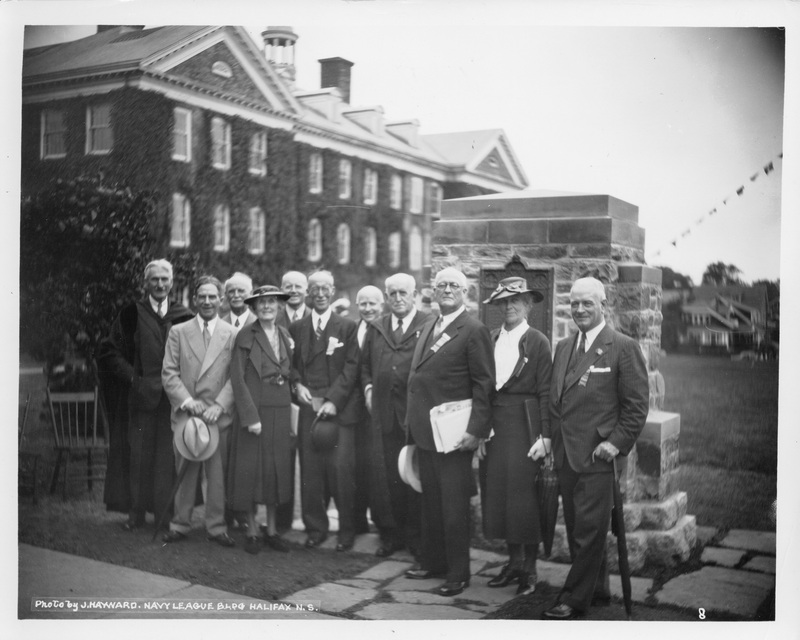 Item consists of two copies of a photograph taken during a Dalhousie University reunion in 1938. The photograph shows Arthur Stanley MacKenzie; J.W. (Lucky) Logan; and other unidentified people standing next to the Halifax Castine monument on Dalhousie's Studley campus.